Canadians are finding it increasingly challenging to balance their work demands with the healthy management and enjoyment of life outside work. Two main aspects often affect work-life balance – the first is lack of time and scheduling conflicts, and the other is feeling overwhelmed, overloaded or stressed by the pressures of multiple roles. 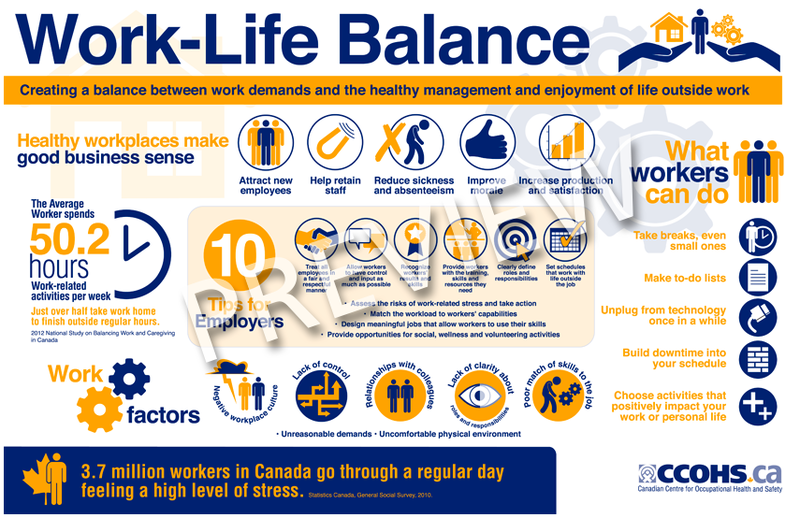 Share this infographic explaining why work-life balance makes good business sense, the factors that can affect it, and what employers can do to support their workers.